The concept of the Law of Attraction and energy are extremely interesting. There is so much written on it already. In fact, it’s become something trendy to talk about. But most people only skim the surface when it comes to this subject. I have practiced creating a new vibration of energy in my own life. It’s funny when I look back, I realize that my thoughts and actions all enhanced lack in my life. I thought in terms of what I didn’t have constantly. I also was filled with much fear. Perhaps it is why I attracted people, relationships, and situations into my life that illustrated this lack belief. Since I worked on my internal world, I saw my external world changing to match my vibration. I was making myself open to miracles. I want to share the steps I practiced so it can help you, too. An eye-opening and interesting concept I learned in my journey was that we are always manifesting. 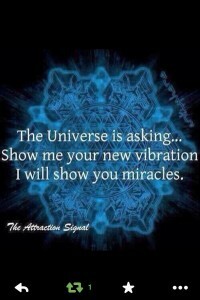 How do we manifest? Through our thoughts which ultimately form our actions and create our reality. When you believe you are not worthy, then you will precisely draw those situations and relationships that reflect that. Since I learned this concept, I pay close attention to what I say. When I first started becoming aware, I realized how my lack mentality was seeped into my subconscious. So I then started to change things I said. It started with really simple statements, so my brain could accept my new thoughts and beliefs. I became very clear about what I wanted to manifest. I wanted to manifest more peace, happiness, money, and abundance into my life. I became even clearer than that at times. For example: Last year, I was very clear that I wanted to sign with a literary agent for my novel Enchanted Silence. You can be this clear, too. Start simple initially though. So if you want to manifest more money, then you need to stop saying things like: I don’t have enough money. The bills are piling up. I would say stuff like this frequently. The funny thing is this belief was so seeped in me, so it arrived on my lips automatically. When you practice awareness, then you can stop yourself. Stopping yourself and saying new statements instead like: I have more money for all my needs and desires. I am becoming more and more prosperous everyday. Before you know it, it will become second nature. You will start to believe this. Your thoughts and statements will align with your actions. The next step is to clear your internal blocks and fears. You will need to start feeling like what it’s like to pay off all your bills and have more than sufficient money you need every moment. This will clear up your blocks and wash away your fears. Clearing your fears and replacing them with love will clean your mind, soul, and body. You are actually creating energetic space in your life for more money, prosperity, abundance, and happiness to enter your life easily and smoothly. When I wanted to believe I had abundant money at all times (even though it was not easy to believe at first), I began paying off bills that had been lying around for months and even years. I remember there were PG&E and water bills that weren’t paid for my family while we lived in an apartment in Sacramento to manage our business. My parents didn’t understand why I did this, but I went and paid off all of them despite their resistance. Why? Because how would more money and abundance come until I didn’t create space for it? It was like a faucet of money that wanted to flow, but couldn’t because it was stuck with stuff I hadn’t taken care of earlier. Then, I started to take care of larger amounts. And over time, I built confidence and have practically cleared them all up. You can manifest what you want, but you must be clear about what you want. I mentioned this earlier, but the Universe won’t know to give it to you, unless you make it crystal clear. Affirmations can be a great way to set clear intentions. You can write them down in your journal, too. You can visualize and practice feeling receiving what you want and how you feel. Do you want to feel more happy? Then, imagine yourself being happy. That will become reality soon enough. Setting clear intentions is important. But more crucial is practicing being centered inside. It’s about feeling a sense of lasting happiness and deep fulfillment inside. When you do, you’ll notice your external world will catch up on that. 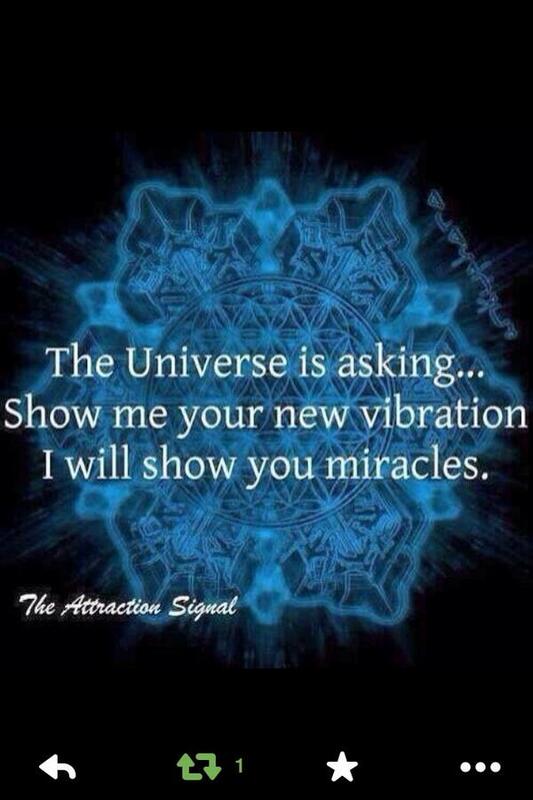 You will be showered with miracles. What is your biggest takeaway from this post? Please share with me in the comments.